Thanks to the Fresh Choice Nelson wine expert, Neil Hodgson for this week’s blog. Lighter evenings and rosé wines are a match made in heaven… Take it away Neil. Daylight savings is here, and the latest versions of rosé wines are hitting the shelves at Fresh Choice Nelson. We have covered this before, so I am sure you will know rosé wines are generally made from red wine grapes that have been destemmed and then juice fermented without very much time soaking on the skins of the grapes resulting in a light coloured red wine. However, some rosé wines are made from a blend of red and white grapes to create wines with fresher acidity that are much more food-friendly than creamy, easy drinking styles. In Nelson, Kaimira Estate produces a wine under their Brightside label called Organic Blush. The blend of Merlot and Riesling grapes has resulted in a wine with nice rounded red fruit flavours and delicious mouthfeel from the Merlot while refreshing acidity from the Riesling provides perfect balance. The wine is also certified organic and is vegan-friendly. Treble Rosé from Black Estate in Waipara ($24.99 a saving of $5) is made from five different grape varieties grown on three vineyard sites and three of those varieties are white wine grapes Chenin Blanc (7%), Riesling (22%) and Chardonnay (3%) along with red wine varieties of Cabernet Franc (6%) and Pinot Noir (62%). The result is a dry wine bursting with spicy red fruit flavours, firm tannins and juicy acidity in the finish making it perfect as an aperitif for those who don’t like sweeter strawberries and cream rosé flavours. 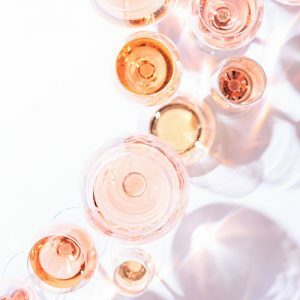 While the easy drinking style of Pinot Noir Rosé that is bursting with strawberries and cream flavours are very enticing, it is the drier style that has so much to offer when it comes to complexity, layers of flavour and enjoyability with food. This summer add rosé wines to your shopping trolley at Fresh Choice Nelson, you might be surprised at just how much you enjoy them.